Score A Super Cheap Schick Razor Deal! This blogpost may contain affiliate links, should you choose to use those we may be compensated at no cost to you. To read our full affiliate disclosure please click here. Hurry over to Walmart with your printable $3 coupon valid on Schick disposable razors and save BIG! Walmart offers many packs of Schick at $5.97!! The coupon excludes one count packs and Slim Twin two and six packs but that doesn’t mean you can’t score big! 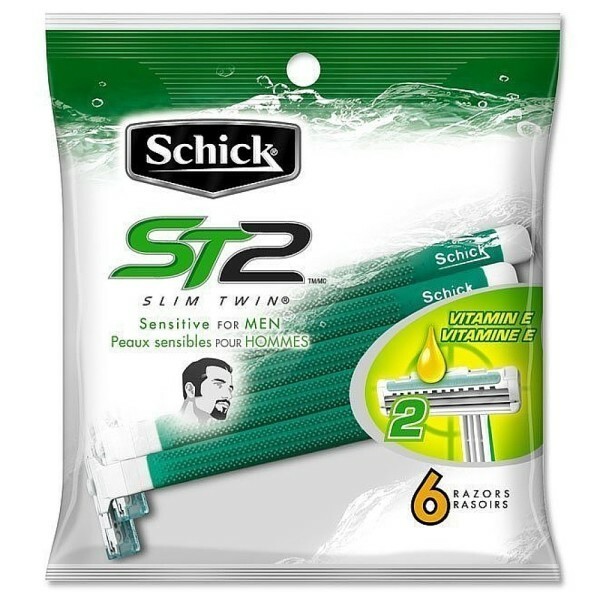 Grab a 12 count pack of Schick ST2 Slim Twin Sensitive Disposable razors and use the $3 coupon printable to drop the cost to just $0.25 per razor! That’s 12 razors for $3! Not too shabby! Print two of these Save $3.00 on any ONE (1) Schick® Disposable Razor Pack (excludes 1 ct., Slim Twin® 2 ct. and 6 ct.) and STOCK UP!